Two of the biggest rivals in the world of sports measure themselves against the same guest within 48 hours of each other when the NBA Global Games presented by BBVA land in Spain's two biggest cities early next week. 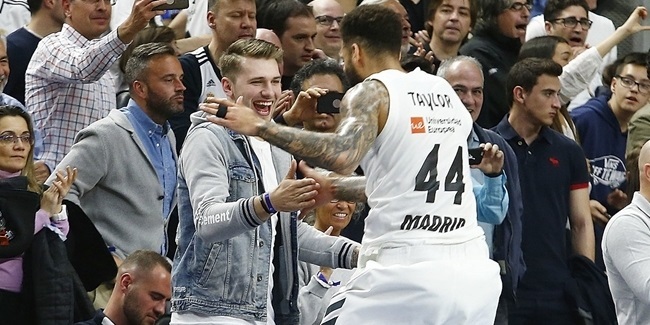 On Monday at Barclaycard Center in the Spanish capital, nine-time EuroLeague champion Real Madrid will host the Oklahoma City Thunder, which is making its second appearance on the Old Continent to open its preseason against the most-crowned club in European basketball history. 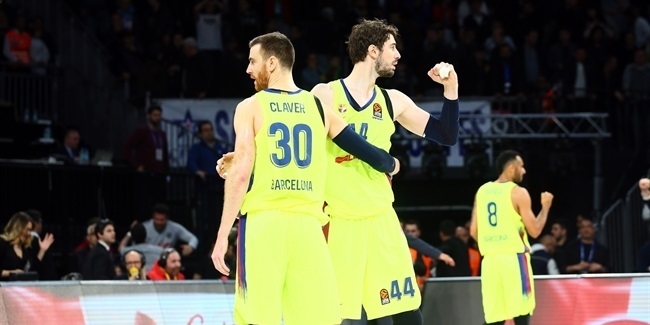 Two nights later, Oklahoma City will visit two-time EuroLeague winner FC Barcelona Lassa at Palau St. Jordi, where the hosts have won three exhibition games over NBA teams in recent years. These games continue a long running tradition of official, preseason games between Euroleague Basketball and NBA teams. The Thunder previously played a pair of European preseason games in 2013 against the Philadelphia 76ers in Manchester, England, and against Fenerbahce Istanbul in Turkey. Oklahoma City also hosted Fenerbahce as a part of the EuroLeague Basketball World Tour games last year and beat the Turkish powerhouse 111-81. Oklahoma City also deafeted CSKA Moscow 97-89 at home in 2010. Its first opponent will be reigning Spanish League champion Real Madrid, which has a 1-2 record against NBA teams at home floor over the past decade. Madrid most recently hosted the Boston Celtics last year and lost 111-96. Its lone win came in 2007 when Los Blancos edged the Toronto Raptors 104-103. 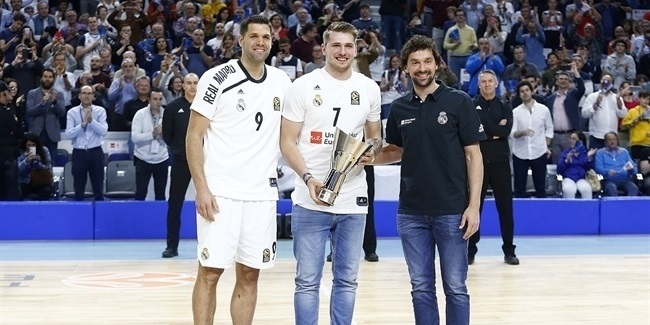 The Madrid squad is headlined by EuroLeague superstars Sergio Llull, Rudy Fernandez, Felipe Reyes and Gustavo Ayon as well as All-EuroLeague newcomer Anthony Randolph and an emerging star in 17-year old Luka Doncic. Juan Carlos Navarro, Ante Tomic, Tyrese Rice and Victor Claver are among the big names for Barcelona, which is 3-0 at home against NBA competition since 2003. Barcelona last played against an NBA team in 2012 when it beat the Dallas Mavericks 99-85 at Palau St. Jordi. Barcelona also defeated Philadelphia 104-99 at home in October 2006 and the Los Angeles Lakers 92-88 in the same arena in 2010. The visit to Barcelona will be a homecoming for Oklahoma City guard Alex Abrines, who played four seasons for Barcelona and won the 2015-16 Turkish Airlines EuroLeague Rising Star Trophy wearing its colors. Other familiar Oklahoma City faces include former Barcelona star Ersan Ilyasova and big men Domantas Sabonis and Joffrey Lauvergne who have also played in the EuroLeague too. The team is led by Russell Westbrook.